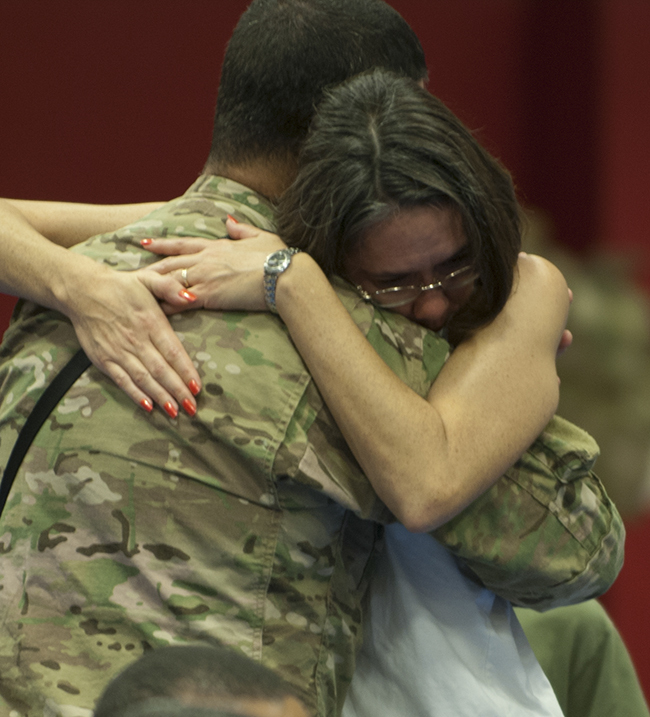 FORT HOOD, Texas – Family and friends bid farewell to nearly 125 Soldiers assigned to 163rd Military Intelligence Battalion, 504th Battlefield Surveillance Brigade, during a ceremony at West Fort Hood Gym Thursday morning, Sept. 19, marking the start of a scheduled nine month deployment to Afghanistan. The 163rd trained just over a year for this particular mission, honing skills from the individual and small team levels, up to company-sized elements, in order to minimize the danger the commander mentions. “The Soldiers are excited and eager to get started. They have trained for the last 13 months and the time has come,” Johnson said of his troops. Soldiers like Sgt. Kayla Orona-Cortes display that eagerness, albeit peppered with a bit of nerves. Having deployed once before to Afghanistan, Sgt. Orona-Cortes, a human intelligence collector, said she is “a little anxious,” and “ready to get going” on completing the mission of assisting the Afghan National Army establish some sort of anonymity, as well as witnessing what has been done since her last deployment. 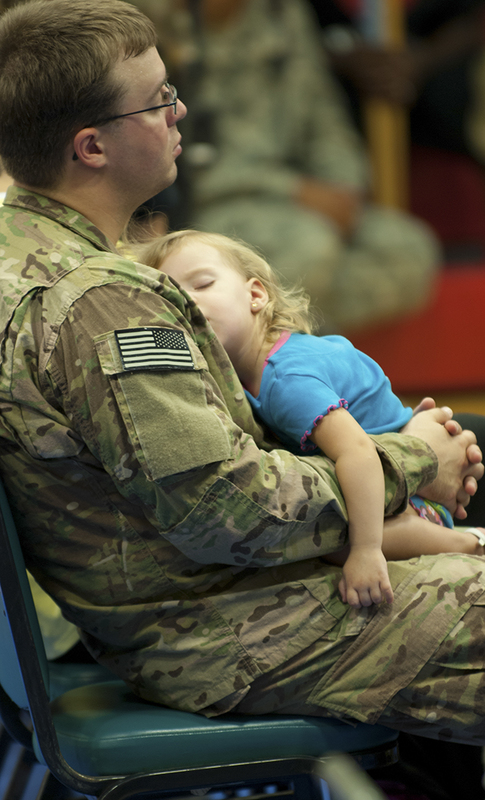 Previous deployment experience of loved ones helps some Families gain perspective and understanding. The Therlfall Family, more aware of what their son faces this time around, travelled from Dallas to see Sgt. James Therlfall off on his second deployment. His wife Jennifer, however, isn’t convinced this deployment is business as usual. The two weren’t married during Threlfall’s first deployment to Iraq, so this is a unique process. “I have never gone through this before,” Jennifer said, adding that she feels “mixed emotions” and even “scared”. 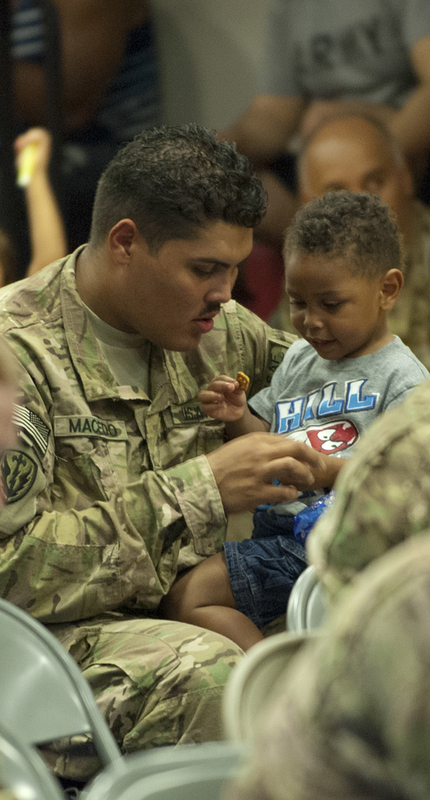 The battalion commander recognized the importance of Families and the support they provide. 163rd MI Bn. Will deploy to support RC-East, while their sister battalion, 303rd MI Bn, also of the 504th BFSB, will support RC-South. Combined, the two battalions will deploy nearly 300 Soldiers.